After a complete wash-out of a weekend, I hope you enjoy your sunny Monday off! I'm taking some time over breakfast to put the finishing touches on our week together. We have officially finished the 6th grade math lessons I've had planned for this year! The rest of the year we will be reviewing what we've learned to increase our fluency. In addition, we will continue to have extension lessons building upon what we currently know. Our GMAS preparations will include working together to compete this review booklet. 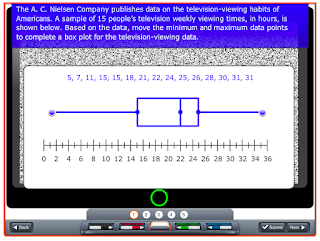 This week we will focus the math section, and next week we will complete the science section. This will take us right up to the week of GMAS starting April 12. Please don't forget to complete your two weekly Compass Learning choices by Friday. You will not have any other math required assignments this week. This week we will have our final lessons on outer space. 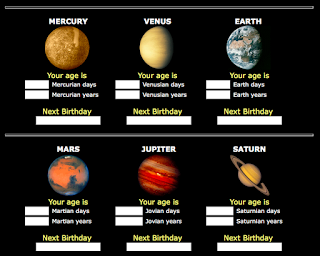 Use your "A Trip Around Our Solar System" choice sheet to guide you along. Your choices are due Friday. You will also have a test on our solar system Friday. Use your study guide to help you prepare. Don't forget to be reviewing your PIN folders for 10 minutes each evening. You worked hard to organize them all year, so take advantage of this powerful learning tool you've created. Parent/teacher/student conferences will take place this week. If you haven't returned your request sheet, please do so ASAP. If you need to change your time, please email me at trent.kissinger@sccpss.com. I'm looking forward to meeting with your family! This Friday is a "Purple-up" day to to benefit the Wounded Warrior Project. Bring in $1 and dress in purple to support this cause. Report cards will be sent home Thursday, March 24. Please review them as a family. You do NOT need to sign and return them since we will be discussing them at the upcoming conferences. Parent/Teacher/Student conference request forms will be attached to the report card. Please choose the times that are available for you to attend a conference with your child's homeroom teacher. Return the form as soon as possible to school, because times fill up quickly. Conferences will take place the week of March 28. Please do not hesitate to email trent.kissinger@sccpss.com if you have any questions. Today we searched through our PIN folders for examples of work we are most proud of. This work will be on display at this Thursday's "Explorers of the Universe" program. Come to the school from 5:30 -7:00 on March 24 to see these pieces and work from other grade levels. It is a great way to see how we are exploring the universe around us in math, science, and social studies. Math and science PIN folders were sent home today. Please review them nightly for 10 minutes to prepare for the upcoming GMAS assessments. This spring break has been a wonderful one! I had come time to travel, relax, catch up on some important errands, and even celebrate St. Patrick's Day! I'm so excited to hear all about your spring break adventures when we get back to school Monday! I hope you return to Ellis rejuvenated and excited to start our final term together. Our math studies will focus on identifying ordered pairs on a coordinate plane. You can use the following sheet as extra practice. The answers are found at the bottom of the page. Do you want something a little more "action packed" to help you master coordinate planes? 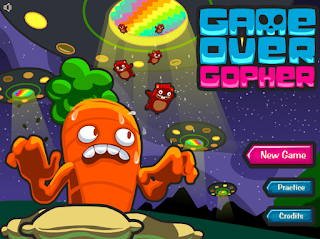 Look no farther than this Game Over Gopher game! You will have homework and classwork assignments to complete this week, but NO quiz or journal to complete. Please remember to complete your weekly Compass Learning assignment. We will be finishing up our studies about the universe over the next two weeks. Our focus will be on objects found in our very own solar system. Your lessons will cover the topics covered on this study guide. Use the guide to help you prepare for a test on Friday, April 1. 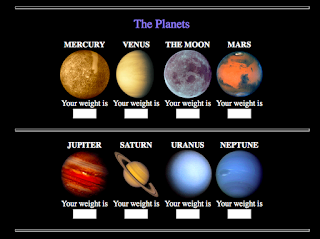 As you explore the solar system, use the following choice sheet to guide the way. The choice sheet is due Friday, April 1. Sign-up requests for Term 3 Parent/Teacher/Student conferences will be given to you this week. Please return them as soon as possible. I look forward to speaking to your family about everything happening in our classroom. We will also be working together to make a plan for success to finish up the year. Enjoy the last little bit of Spring Break! I'll see you Monday morning! Have a wonderful spring break! Classes will resume Monday, March 21. There's a lot happening tomorrow at Charles Ellis! 1. It is the last day of term 3. All work from this term is due by the end of the day. Any assignments that you have not handed in by the time you leave for spring break will become zeros in the grade book. 2. You will have your "Earth, Sun, Moon" test tomorrow. This is the last test of the term in science. 3. Your "I Can" booklet is due tomorrow. Everyone who completes it (including checking it) will receive a 100% test grade in both math and science. 4. Don't forget about completing your two Compass Learning choices this week. 5. We are raising money for the American Diabetes Association tomorrow. First, bring in $1.00 to dress "up" in green. Bring in another $1.00 to attend a dance during your explorations time. It proves to be a lot of fun, and it raises money for a good cause! It's been a long, cool winter but Spring Break is right around the corner! Let's see what's in store for your last week of term 3! We will take a break from new math lessons to review what we've studied this term. Monday you will receive your "I Can" booklet that will walk you through your 3rd term lessons. The first half of the book is all about math and the second reviews your science studies. Please take some time at home Monday and Tuesday evening to work on this booklet. You will also have time during your work period to complete it. When it's finished, hand it in to me to get "permission to check" (PTC). You can then use the key to check it. Your checked booklet will be worth TWO tests grades: one in math and the other in science. Completion of this assignment is a great way to end your term on a high note! Your only other assignment in math is to complete your two weekly Compass Learning choices. Your science studies will continue to focus on the Sun, Earth, and moon. Use your "Lunar Lunchbox" choice sheet during your work time to help focus our research. Prepare for Friday's test using your study guide. Because Friday is the last day of term 3, all work is due before you leave for Spring Break. This includes your "Lunar Lunchbox" choice sheet, all Compass Learning choices, all term 3 Google Classroom journals, and any missing math/science classwork or homework assignments. Please check PowerSchool for a list of any missing work. If you are unable to log into PowerSchool, please ask me for a list of any missing work. There is also reason to celebrate Friday because it is our annual "Green it Up" and dance fundraiser for Kiss-A-Pig! Bring in $1 to dress in green and $1 to attend the dance that will take place at your explorations time! All donations will be given to the American Diabetes Association. 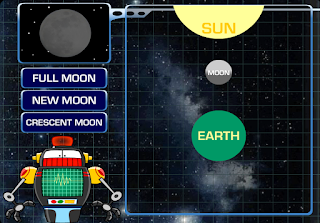 Click below to play a fun moon phase game with Garfield the cat!